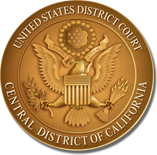 In April 2011, Sheri Pym was appointed a United States Magistrate Judge for the Central District of California. Judge Pym graduated from Williams College in 1989, and obtained her J.D. from UCLA Law School in 1994. She worked at Milberg Weiss Bershad Hynes and Lerach from 1994 to 2001, primarily in the firm’s San Diego office, representing classes of plaintiffs in consumer fraud, wage and hour, tobacco, and securities fraud litigation. Judge Pym joined the U.S. Attorney’s Office for the Central District of California in 2002, working as an Assistant United States Attorney until 2011, primarily in the Riverside Branch Office, where she prosecuted a wide variety of federal crimes. She served as Chief of the Riverside Office from October 2006 until March 2011. Judge Pym sits in Riverside, California.